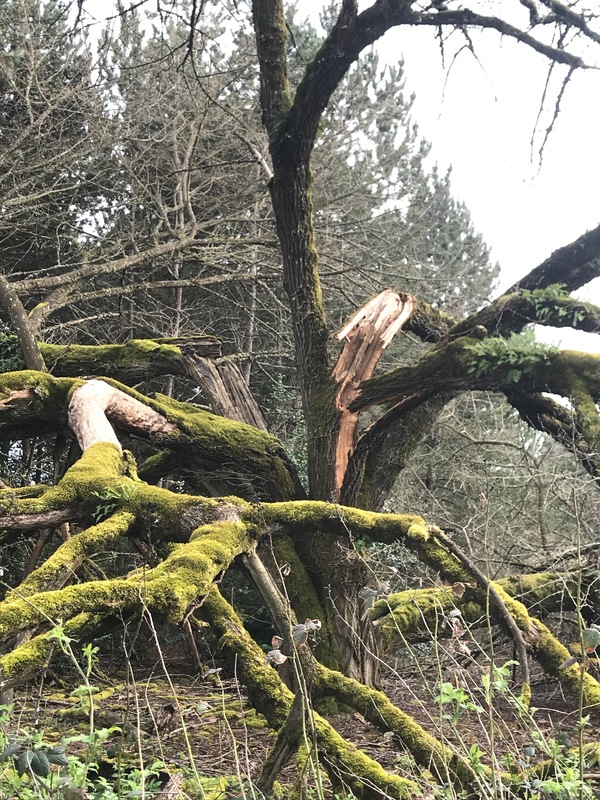 Dangerous Trees | Good News Tree Service, Inc.
Good News Tree Service, Inc. Call an ISA Certified Arborist and an ISA Tree Risk Assessment Qualified Arborist today and have your trees checked today. This can happen to a tree at any time of the year—not just in the winter. Don’t let it happen to your trees! 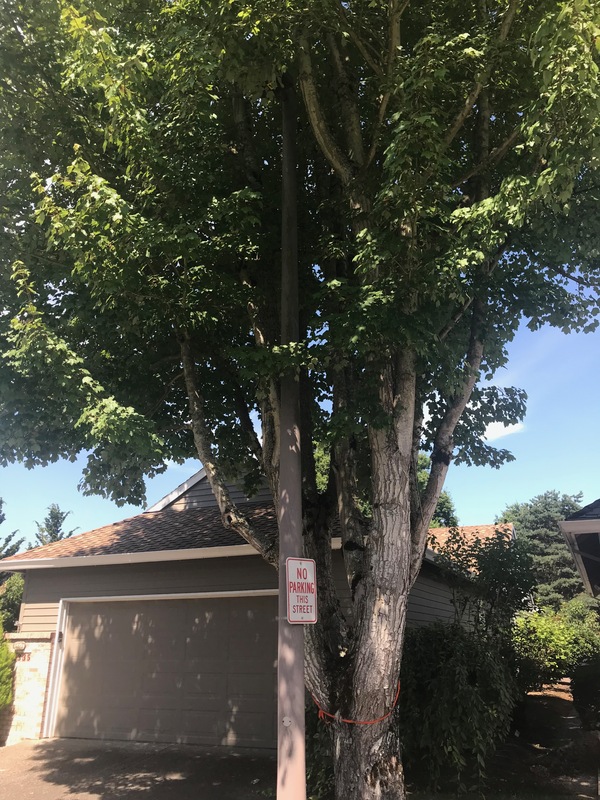 Call Good News Tree Service, Inc. of Wilsonville for a free analysis of your trees. 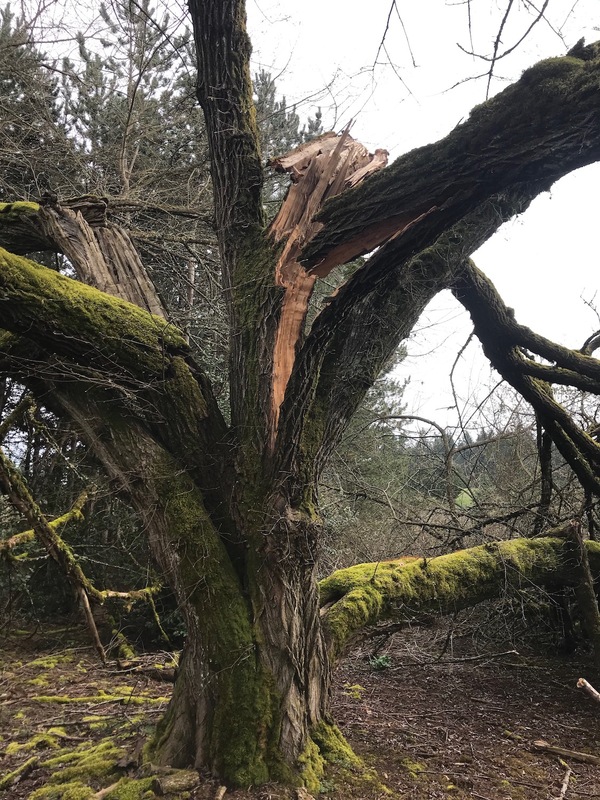 This entry was posted in Dangerous Trees and tagged Dangerous Tree on 2019-04-04 by Nathan Lawrence. The Wrong Street Tree in the Wrong Place…BIG PROBLEMS! Street trees are beautiful to look at when driving through a neighborhood. 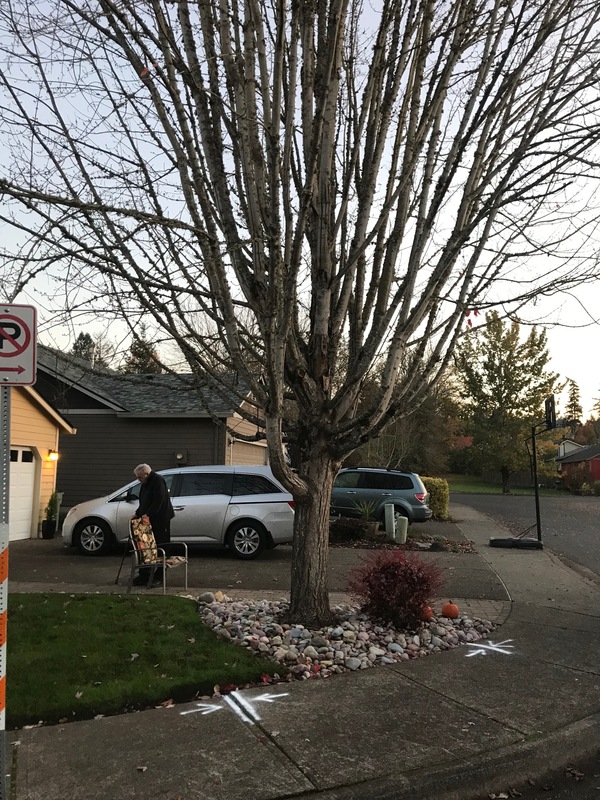 They add value to a house and neighborhood, improve livability, are good for the earth and environment, and provide so many other benefits, as we’ve noted elsewhere on this blog (https://goodnewstree.com/2018/10/11/how-trees-benefit-you/ and https://goodnewstree.com/2018/10/11/why-humans-cant-live-without-trees/). However, the wrong tree in the wrong place can cause no end of problems for the owner of the tree. Fixing some of these problems can be extremely expensive. That’s why it’s important to plant the right street tree in the right place (as we will note in our next blog post). 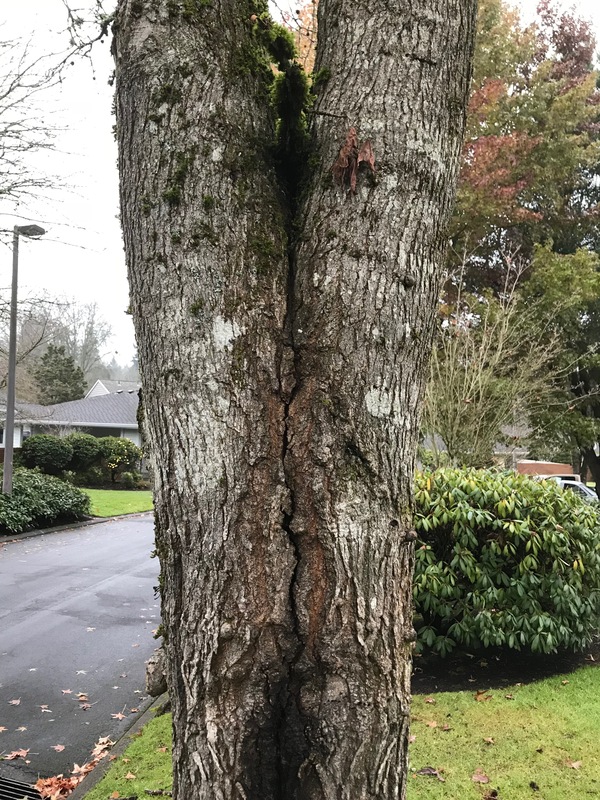 In our decades as arborists, we’ve seen it all including the damage that misplaced trees can do to foundations, sidewalks, driveways, walls, houses, cars, near fatalities due to limb breakage and trunk failures, destroyed street lights, impacted utilities, plugged sewer pipes and busted water meters and pipes, and more. Here are just a few examples of the problems the wrong tree in the wrong place can cause. Here is a street tree totally enveloping a street light. Someone wasn’t thinking when they planted this tree! Here is a public sidewalk that has been lifted by a street tree. This is a trip hazard to pedestrians and legal liability for someone. 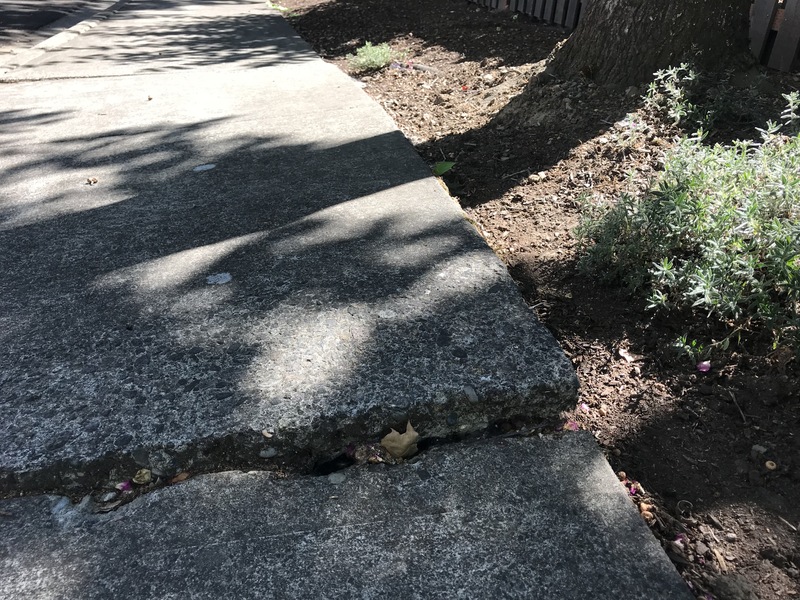 A pedestrian actually caught a toe on and tripped over this tree root lifted sidewalk and did a nose plant on the cement. Not good! This tree was too large for its spot. It was lifting the sidewalk in two places and had utilities running underneath it was well. 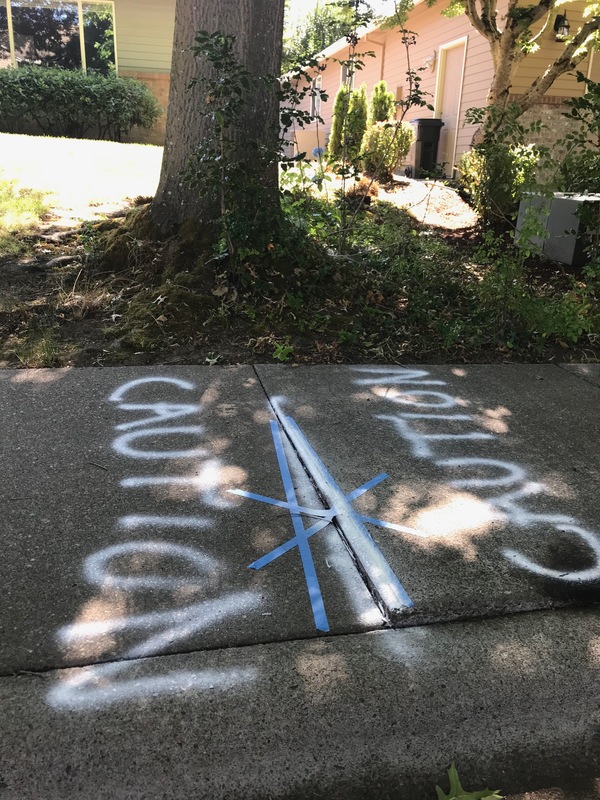 Underground utilities and tree roots often clash causing all kinds of damage and expenses. 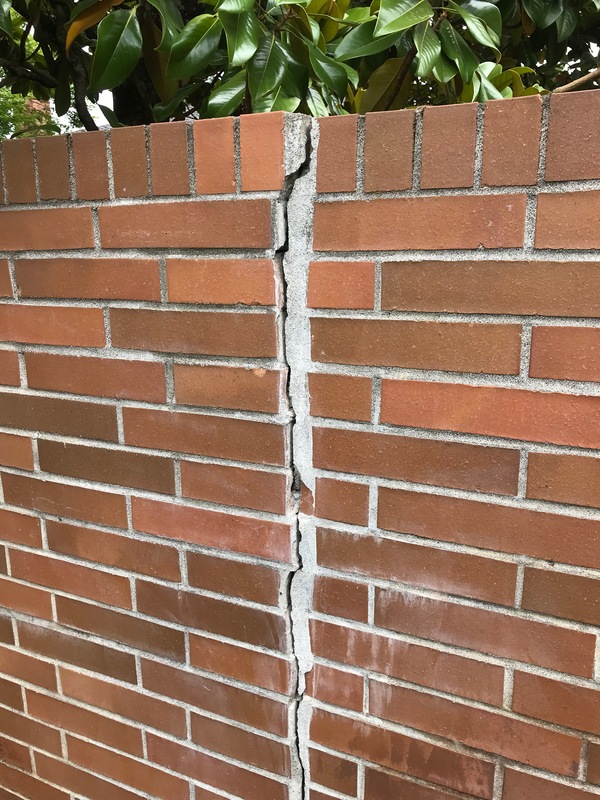 Street trees planted too close to walls can cause this. Some trees are susceptible to splitting out due to weak trunk and branch structures. These are not good street tree choices, especially when they break out and land on streets, cars and houses. We had to remove this weak crotched tree when part of it split out and landed in the cul-de-sac after a little wind storm. This sweetgum street tree is loaded with hard spikey gumballs, which fall and then roll down the sloping lawn onto the sidewalk and street where people walk. It’s not hard for someone to twist an ankle while walking over a hard surface covered with golf ball like gumboils. If this happens, I wonder who’s going to pay for the medical bills? 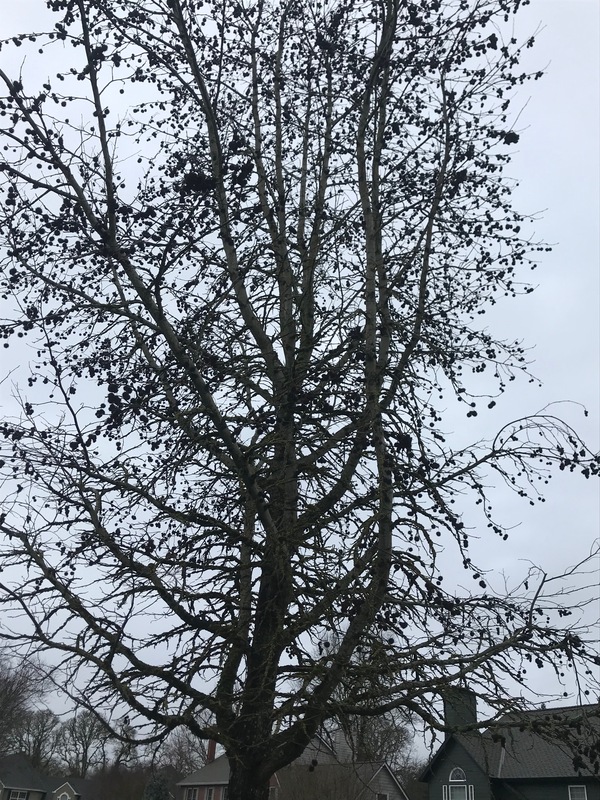 This entry was posted in Dangerous Trees and tagged Hazard Trees, Street Trees on 2019-02-21 by Nathan Lawrence. 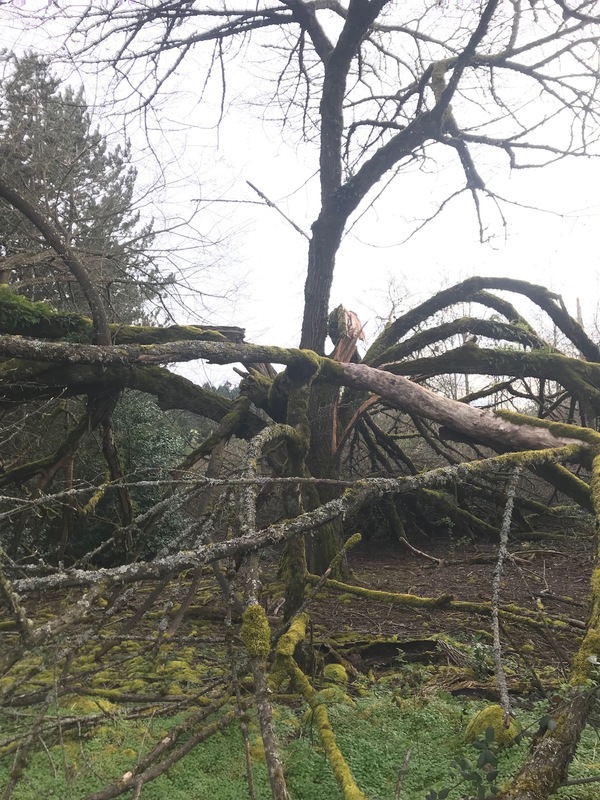 Are your trees safe, or are they dangerous, hazardous and at risk of breaking or falling down during the storms, wind, snow and ice that will inevitably pummel the Wilsonville region this winter? Trees are a major part of our lives. We love trees! They’re nearly everywhere including where we live, walk, play, drive, work, eat, recreate and go to school. Sometimes we even plan activities around them. We take them for granted because they are big, old and seem so permanent, stable and immovable. Most of the times, trees cause us no problems. However, trees can, at times, become dangerous. If they fall over or break apart, they can cause serious injury or death to humans and animals, and major damage to property. How do you know if your trees are at risk of blowing over or breaking when the storms come? 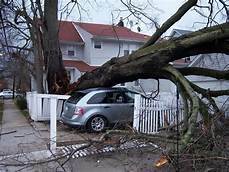 What are some signs that your trees might be dangerous and hazardous and might become victims to the ravages of winter storms including ice, snow, wind and rain? This entry was posted in Dangerous Trees, Trees and tagged dangerous trees, hazardous trees, tree safety, Winter Storms on 2018-11-19 by Nathan Lawrence. Are your trees ready for our fall and winter storms? Winds, ice, snow and even rain can cause damaging (and expensive) tree failures. 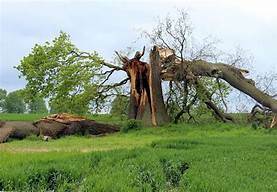 The twisting and torquing force of wind on trees combined with soils super-saturated from rain can cause trees to break or uproot. Ice and snow are heavy, which can put stress on trees, causing them to break apart. What can you do to prevent the uncontrollable forces of nature from indiscriminately, and without your permission, “pruning” your trees often resulting in damage to property and injury to people not to mention loss of property value due to broken, decimated and just plain ugly trees? If you are in Wilsonville, Oregon or the nearby cities including Tualatin, Canby, Aurora, Hubbard, Sherwood and the surrounding areas, we can help! 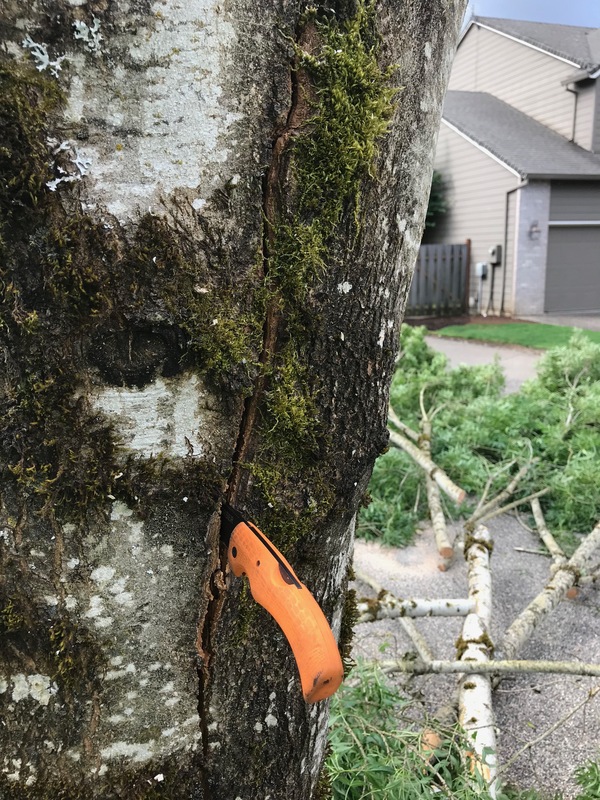 Be proactive and have an expert ISA Certified Arborist examine your trees before the winter storms hit the Wilsonville region causing damage to your trees. This entry was posted in Dangerous Trees, Trees and tagged dangerous trees, hazardous trees, Winter Storms on 2018-11-16 by Nathan Lawrence.